Bio MagneticDays Research Project | First stage: Rome! I read this article and found it very interesting, thought it might be something for you. The article is called The Bio-MagneticDays Research Project starts! First stage: Rome! and is located at https://www.magneticdays.com/en/blog-en/bio-magneticdays-research-project/. Home » Blog » The Bio-MagneticDays Research Project starts! First stage: Rome! Two months have passed since the victory of POR CREO 2014-2020 by Tuscany Region, the Regional Operational Programme (ROP) by the European Regional Development Fund where MagneticDays has been selected with its biomedical project named Bio MagneticDays – developed in R.T.I. (Temporary grouping of of companies) – with the goal to bring a five-year experience in the world of indoor training for cycling through the use of JARVIS (the one and only indoor training system based on a scientific approach) in the field of medical rehabilitation and at disposal of cardiopathics, persons with diabetes and obese persons, traumatized patients and all those who need of an active assisted movement. This biomedical project has the goal to improve the quality of MD system and what already exists and proposed to the marketplace, developing technological models suitable to be used in the field of medical rehabilitation, also through the trial of two prototypes of indoor training systems in water. 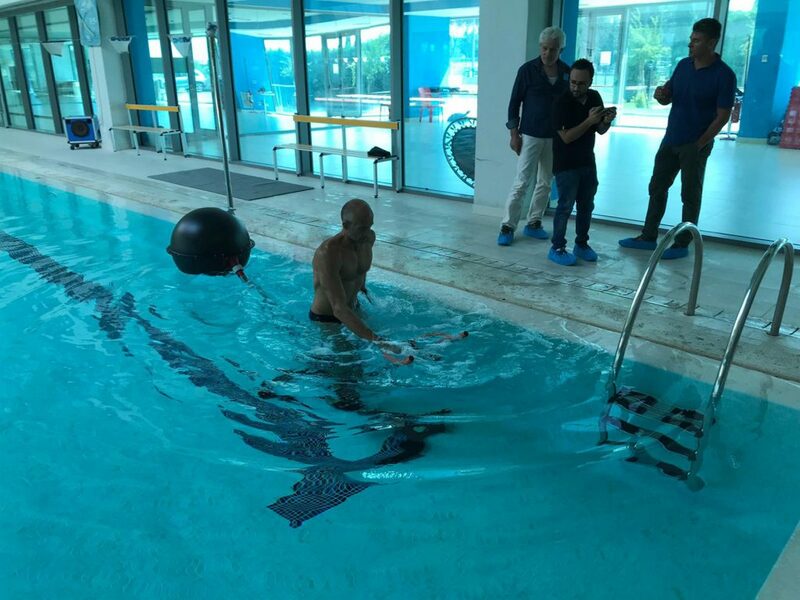 A high interest in the Bio-MagneticDays project came from Salaria Sport Village (the largest Italian sports center and second in Europe with over 220,000 square meters of greenery), where the team headed by the Professor Andrea Passerini Ph.D. are working on specific workout protocols in water. The aquatic environment have characteristic features as anti-gravity, resistance of Water-Bike in the water and water pressure (that improves with the profundity), representing the best place for the super-obese persons, who are strongly obstructed to face any workload – in dry condition – with continuity. However, it has never been possible so far to provide adequate directions for the building of specific workout protocols, because the available technologies did not allow to report some of the most interesting results. 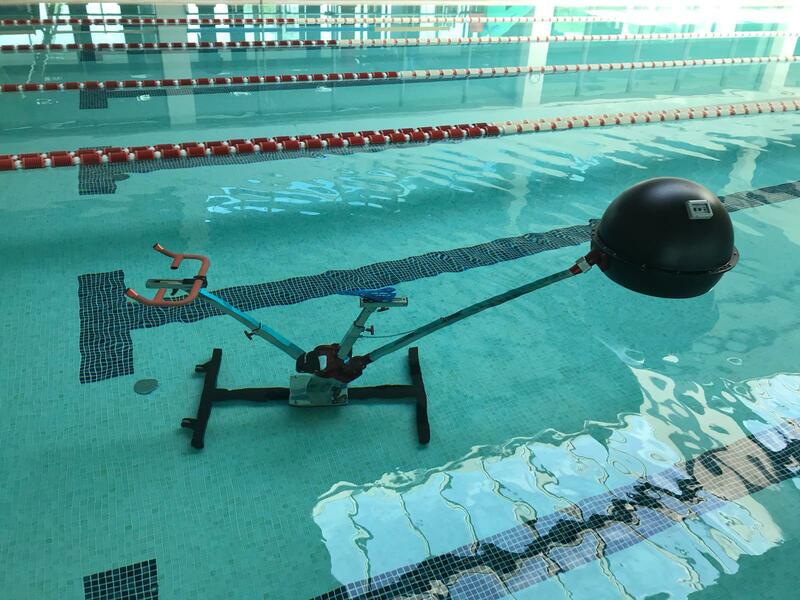 Having a system for detecting and supply of workloads during the training in water – as only MagneticDays can do – is a great innovation. Being able to quantify an immersion effort through the monitoring of parameters such as Power (Watts) and RPM, would allow to evaluate the progress achieved over time and analyze the study related to the physiological-metabolic adaptations of the subjects under examination. The use of the MagneticDays Water-Bike (W-Bike) prototype would make a considerable contribution to the scientific literature that remained incomplete for too long a time. The Bio MagneticDays Research Project is the result of a partnership companies from different but synergic industries (precision mechanics, aerospace and railway mechanics, electronics and medicine) with the active collaboration of an important Italian University like Pisa, in particular the Faculty of Medicine and Department of Cardiology relative to the incremental test protocols, collection of data and their scientific validation.